Have you heard about the amazing Casino Palace online gaming portal yet? If you want the best playing experience, bonuses, live dealers, this review takes you on a journey through the doors to a virtual extravaganza of games, thrills and adrenalin rush! You probably recognise the name but I can tell you that this is a brand that has been resurrected from its former incarnation and now stands head and shoulders above the pack. The website itself is a design miracle combining all the best graphics with tantalising tasters of what you'll find inside there once you join. But don't just take my word for it if you don't want to. I've been there and checked it out, which is how I know. But you'll just have to see it for yourself too! Let's take that initial journey around the place to see what's being previewed on the outside and then dig deeper to see what lies beneath the virtual doors to amazement. When you visit the site, the first thing your senses are pleasantly assaulted by are the smoothly integrated, powerful graphics that just blow you away with their spectacular rotating game previews. They are styled to peak the curiosity about what you're going to get once inside, of course. And they do a very good job of it. With over 350 casino games available, a very attractive signup bonus plus weekly surprise bonuses and of course those luscious live dealers to look forward to meeting, you can see just by looking that you're going to be really glad you went in for a closer look at all the goodies in there! The first bonus comes with 10 free spins on the popular Gorilla Go Wild game, so make sure you claim those free spins too! There are of course the usual restrictions on what you can do with the bonus money, but most serious players use it the way it is meant to be used: to place more bets with! Note: European players will of course deposit and receive their bonuses in Euros instead of GB pounds, while worldwide players can choose US dollars as their currency. Now down to the really interesting stuff for most players: the games themselves! What have we got lurking under the hood? More different types of game than you can shake a very long stick at! All the favourite casino style titles are in there, including a huge slots array, several variations of blackjack and roulette, video slots and video poker, craps, card games such as baccarat, table poker variants, pai gow and rummy, bingo, keno plus arcade games, scratch cards and features that will keep you busily happy for as long as you want! You can choose to play live dealer games including roulette, blackjack and baccarat and take advantage of interacting with a real person who will deal the cards or take your bets and spin the roulette wheel. All this is done while you watch in real time on your computer screen, tablet or phone if you like. There is a lot of interest in playing those games where you can enjoy the personal touch of a beautiful croupier or card dealer. The main attraction is that interaction and live feedback you can only get this way at online casinos and that the computer simulated games lack. That's not to say the computer graphical games are dull in any way. Oh no, these are powered by the world's most advanced software that produces truly lifelike and exciting gameplay that is second to none. No online casino worth its salt would be worth visiting if it didn't have a really great selection of the top slots titles in its itinerary. Well you're in for a treat at everyone's favourite: Casino Palace because you'll find a lot of the top games right there all under one virtual roof. That includes all the latest movie themed games such as Game of Thrones, The Dark Knight, Jurassic Park, Batman, Terminator 2 and Jurassic Park and that's just to whet your whistle. There are plenty more that will keep you on the edge of your chair, assuming that you're sitting down to play and not standing in a bus queue playing on your phone! It goes without saying that discerning players expect a high degree of security and a trust level that satisfies even the most faith-conscious person. 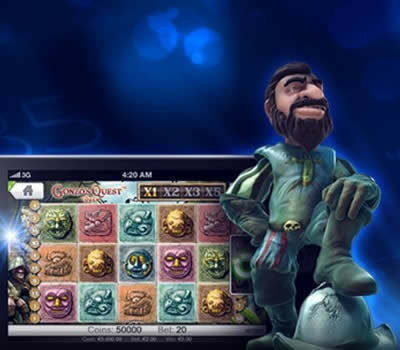 This is a UK registered, licensed online casino regulated by the UK Gambling Commission and that means it has to meet some of the toughest and most stringent safety and fair gaming measures in the world, just to stay in business. Needless to say, it does just that with flying colours. All financial transactions are secured with the highest level of online encryption in existence making your money as safe here as it is at any top online bank or financial institution. That means safe and sound! If you ever need help of any kind, you are just a phone call away from the best online support staff in the business who can help you no matter what is bugging you. You can get in contact via email 24/7 or by online chat between 06:00 and 23:00 (GMT). The easiest way to get signed up os to simply click the promo link below to visit the website and once there, click on the big blue "Join Now" button near the top left of the page. Follow the on-screen instructions, fill in the boxes with your details and then once you're ready, you can use your preferred online payment method to make your first deposit and get started!